* Tümi has opened as a health food café in St John’s Piazza in Sea Point, being part of the Col’Cocchia group. * Castella Amere has opened in Melkbosstrand. * Hallelujah has opened near Power & Glory on Kloofnek Road. * Knead has opened in the renovated Checkers in Sea Point. * The Restaurant at Cape Point Vineyards has opened, with Chef Clayton Bell of the former Constantia Uitsig at the helm. * Plant has opened as a fully vegan restaurant alongside Buitengracht Street. * Overgaauw Restaurant has opened, with owners Russel Wasserfall and Camilla Comins, previously of The Table at De Meye. * Firebirds Restaurant & Deli has opened in Sea Point. * The Thirsty Scarecrow has opened outside Stellenbosch. * Sumo is opening in the Cape Royale hotel building. * Melissa’s has opened at Frater’s Square in Paarl. * Entrepreneur Michael Townsend (La Parada, Lucky Fish, Harbour House emporium) is opening a steak restaurant in Muizenberg. * Neil Grant and his business partner Barry Engelbrecht (of Burrata) are opening a new restaurant Bocca on the corner of Bree and Wale Streets in winter, ‘more low key, more Bree Street, more user-friendly‘, and with an Italian pizza oven too. They are also taking over the River Café (renaming it) at Constantia Uitsig. * Mr Pickwick’s has opened on Kloof Street, above Ocean Basket. * Hard Rock Café has returned to South Africa, and has opened the first of four branches on Mandela Square in Johannesburg. Branches in Cape Town, Pretoria, and Durban are planned. * The Grillhouse steak restaurant from Johannesburg has opened in Woodstock, on Albert Road, with a microbrewery to open shortly. * Pescarne has opened in Hout Bay. * NV-80 has opened in the Checkers building in Sea Point. * Baked in the Wood is to open in Woodstock, offering craft beer and tapas, and is owned by Zahir Mohamed of Baked Bistro. * @Food & Wine has opened in Hermanus. * Franky’s Diner is opening on Main Road, Sea Point. * Vida e Caffe has and Kauai have opened in Portside on Buitengracht/Bree Street. * Beijing Opera has opened on Rose Street. * The Lunch Depot has opened. * Hard Pressed Café has opened at the bottom of Bree Street. * Casa du Sol Grill House has opened in Claremont. * Charcoal Dining has opened where Chef’s Warehouse was previously. * The Depot has opened. * Strandcafé has opened in Strand. * Simply Wholesome has closed down at the Woodstock Exchange and City Bowl Market. * Café Chic in Gardens has closed down. * Love, Revenge, and Cappuccino has closed down in the V&A Waterfront. 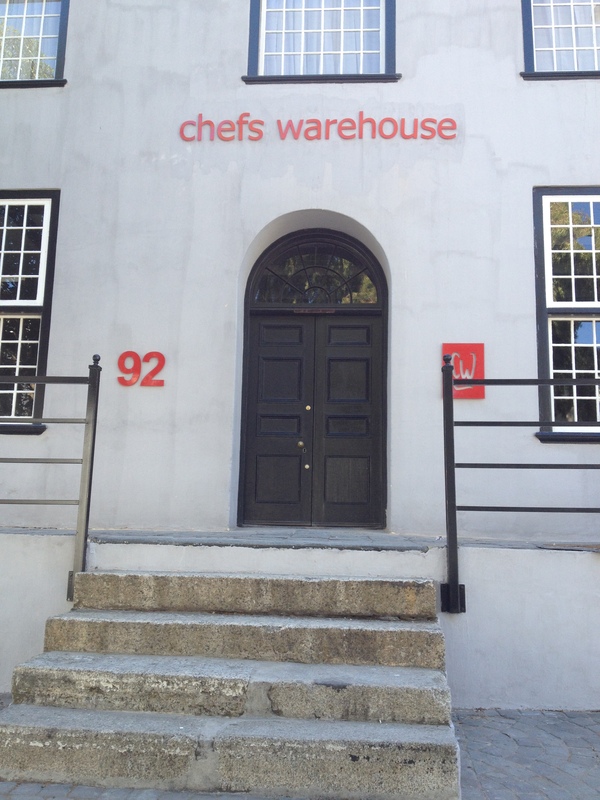 * Apprentice in Stellenbosch has closed down. * Season has closed down in Hermanus. * Wafu is closing down in Green Point. * Moyo in the V&A Waterfront is said to have closed down. Now Moyo at Spier has also closed. * La Chocolatier on Church Street in Stellenbosch has closed down. * Long-established Five Flies has closed down. * La Colombe is to close at Constantia Uitsig at the end of June, and is planning to relocate elsewhere in Constantia. The new location has not yet been finalised. * Barouche restaurant at Blaauwklippen is closing down on 31 May. * Luvey ‘n Rose has closed down on Rose Street. * Jewel of India on Rose Street has closed down. * Morgenster is planning a new restaurant with an (very big name) international partner, a Café, a Deli, and accommodation, a project which is still in development phase, but is planned to roll out into next summer. * Reuben Riffel is the new operator of Racine at Chamonix in Franschhoek. Chef Nico Pretorius is in the kitchen, previously from Reuben’s at One&Only Cape Town. * The Original Deli in Hermanus has been renamed Original Deli & Wine Lab. * Le Coq has closed in Franschhoek, and Allora has moved into the space. * Madeira Café has opened where Sofia’s was in Camps Bay. * LUST is the new name of Cotage Fromage at Vrede en Lust, Chef and artisanal baker Jean-Pierre Smith having returned. * Le Bon Vivant @ Glenwood Bistro has opened where Okamai used to be. * Fyndraai will be moving into a new restaurant building on Solms-Delta, making space for the current restaurant venue to become the tasting room. * Haas is moving to Buitenkant Street. * Adrian Cook, formerly of Bon Amis at Bloemendal wine estate, has been appointed as Executive Chef, and Johann Breedt, previously of Westin Cape Town Executive Club, as Head Chef, both at Shimmy Beach Club. Chef Johann has left again, now working at The Taj. * Bootlegger Coffee Company has opened where Caturra Coffee used to be on Regent Road in Sea Point. * The Spur Corporation has bought the six Hussar Grill restaurants, and will expand the restaurant chain. * Chef Maryna Frederiksen has left the Franschhoek Kitchen at Holden Manz, and has moved to Cosecha at Noble Hill, after a short stint at Sacred Ground. * Ristorante Posticino has opened a branch in Hout Bay, where Wild Woods used to be. * After spending short periods of time at Glenwood and then at L’ermitage in Franschhoek, Chef Deon Sensei moved to the new Umi Japanese restaurant in Camps Bay in December. He has left, to open his Funiki – Sensei’s Japanese Private Dining Experience. * Manna Epicure has been bought by Agnés and Johannes van der Westhuizen, previously of Die Sitrus in Citrusdal. * Chef Amber Deetlefs, previously with Pinotage restaurant in Beijing, has joined Paranga. * Vida e Caffe is moving to the Food Court in the V&A Waterfront in April, from its longstanding location near Melissa’s. 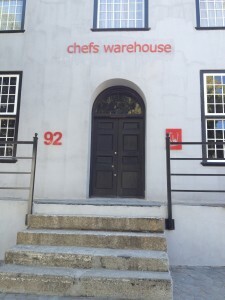 * Chef Bruce Robertson is moving from Scarborough to Simon’s Town, opening The Flagship guest house and a 16 seater restaurant. * Massimo and Tracy are back at Massimo’s, after Massimo’s bone marrow transplant in Italy. * Ocean Basket has opened in Camps Bay, where Bayside Café used to be. * Chef Chris Erasmus is leaving Pierneef à La Motte in June, and is opening his own restaurant Foliage in Franschhoek in mid-July. * Seelan Restaurant & Bar has opened on Quay 5 in the V&A Waterfront. Chef Seelan was previously at Shimmy Beach Club, The Grand Café, The Reserve, and La Perla. * The Gallery Restaurant at South Hills has opened in Elgin, where Chef Gordon Manuel used to run his restaurant. * Le Quartier Français GM Linda Coltart is leaving after 18 years. * Traümerei has changed its name to Café Franschhoek. * Herman Brown has bought the Salmon Bar in Franschhoek, with Nigel Burch his new manager. * Fisherman’s Catch has re-opened in Franschhoek, and may have closed down already again. * Craft has opened where Apprentice used to be in Andringa Street in Stellenbosch. * Aldo du Plessis has left Grande Provence and has joined Boschendal. * The Twelve Apostle’s Horst Frehse has been promoted to Executive Director of the hotel, and Michael Nel as General Manager. * Keenwä has a new owner, German de la Melena having sold his restaurant. * Chef Andres Condé, formerly from elBulli and Tickets Michelin-star restaurants, is joining the Harbour House Group in June! * Good Food & Co in Franschhoek has re-opened with a new owner, Warren McNicol. Previous Chef Kim will return at the end of May. * The Company’s Gardens Restaurant will be taken over by the Zingara Group, and renamed Haarlem & Hope. It will open in Spring. * The River Café will re-open at Constantia Uitsig, with a new name, and operated by Neil Grant and his business partner Barry Engelbrecht of Burrata, opening in September/October. * Chef Carl Penn of Pedlars on the Bend is said to be opening El Cadre in the former Don Pedro in Woodstock. * Caffe Milano is being transformed into Carne Bistro, and another Carne is said to be opening in Constantia. * Boschendal has closed, for an extensive renovation as a wedding destination over winter. A new restaurant operator is expected to be appointed for the summer. * Terroir: 30 June – 17 July. I always read your restaurant news avidly, even when I am between holidays. I notice that you have Lust at Vrede en Lust on your list. I had the most pleasant lunch there this week, sat outside enjoying the sunshine. The pizzas were fantastic, just like you get in Italy. The service was a little slow but we weren’t in a rush and they kept us informed and gave us each a cake to take home, as an apology. Very different and much improved from my last visit 6 years ago! Welcome to the Cape and best wishes for your holiday LIsa. Plant a fully vegan restaurant opens , yum yum cant wait to try that place, i will bring my tree with me to hug while having lunch. I wasn’t very impressed – they got most of my order wrong.